If my life boiled down to only being able to subscribe to one podcast... this is it. No question. Мы, в далёкой холодной России, тоже слушаем и любим вас! The Beat Oracle consistently delivers. There's nothing amateur here-- just week after week of musical intelligence. Michael and his co-hosts obviously work very hard to find this great music, and then put together mixes that take you to places you never even thought of going before . . .and you love it! The hosts call what they play "future music". But the FUTURE is right now! We don't have to wait for it to arrive anymore. . . there are no boundaries to what is possible, and the Beat Oracle knows it. i'm so glad it's back. michael beam is a great host, and they play amazing music always. keep up the good work! The Beat Oracle is just about the best radio show I've heard in some time. Great to put on while you are driving, cooking, lounging. No annoying ads or wacky personas, just straight-up quality music. 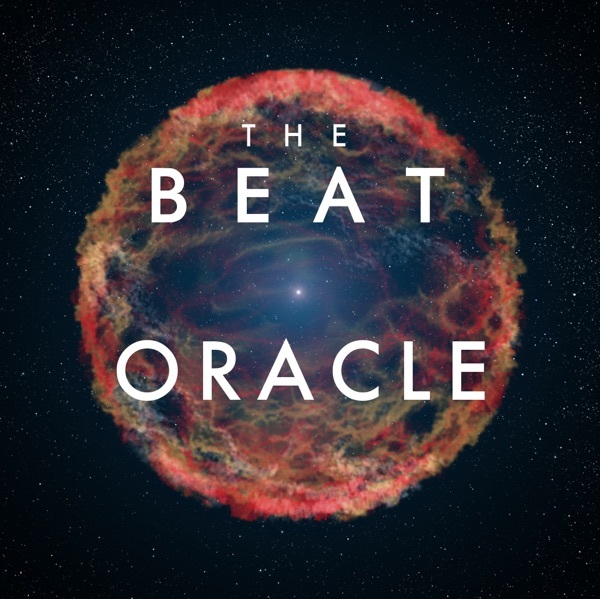 Since iTunes first incorporated podcasting I've been perusing the various music podcasts available on the Music Store and independently broadcast, and of the several dozen I've tried The Beat Oracle is easily my favorite. The host, Michael (Noah used to co-host but left the show recently, you will be missed, Noah) is phenomenally mellow but his show indicates deep knowledge of modern music in its manifold variety. Everything from Electronica to Indie and foriegn hip-hop to the occasional smatterings of rock and disco is fresh, with excellent transitions and attention paid to the selection of quality complimentary pieces. The Beat Oracle is 2 hours of musical sweetness that are one of the highlights of my week. If you want a sampling of new and influential artists in the modern musical world and you want to enjoy yourself in the process, you can't go wrong with a subscription to the Beat Oracle. Michael, thanks for the tunes. When apple started podcasting I subbed to about 20 podcasts, this is the only podcast I listen to now. It's just that good. If you like electronic beats and hip hop this is the podcast for you. Your head will be nodding for two hours a week guranteed. I'm lucky enough to be able to listen to this podcast as it's being recorded live on KCSB in Santa Barbara, CA. It consistently introduces me to bleeding-edge music in some of the most influential genres of our time. I give it three thumbs up! I don't subscribe to too many podcasts because some tend to be inconsistent. However, the Beat Oracle is always right on. They expose me to music I've not heard and yet play some of my favorite cuts at the same time. Makes me miss the hip hop show at my college station. Right on!